Just because you want to wear stud earrings, doesn't mean they have to be boring! 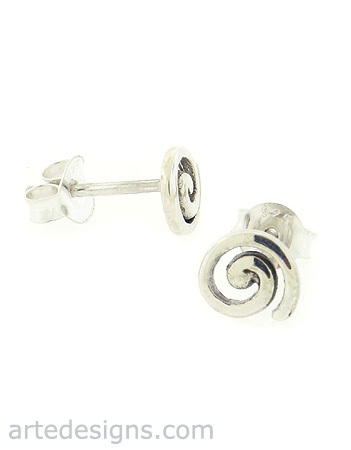 These tiny spirals will keep your earlobes fun and interesting. Approximately 6mm. Entire earring and post are sterling silver.